Sabine Aigner joined Spencer Stuart in 2010 and is a member of the global Healthcare and Consumer practices, focusing on senior-level search and board assignments throughout Europe. Sabine specializes in international positions for renowned corporations, start-ups and associations in the pharmaceutical, biopharma, consumer health, medical devices and animal health sectors. She brings more than 25 years of executive search experience to her work with major international companies across multiple geographies. Throughout her search career, Sabine has worked internationally, regionally and locally, focusing particularly on Europe and emerging markets, where she has built a powerful network of top leaders. She has spent more than two decades working in the healthcare and consumer sectors. 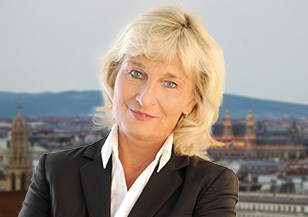 Prior to joining Spencer Stuart, Sabine was a partner in another international search firm, where she served leading global organizations in recruiting CEOs and general managers, marketing, sales and human resources directors, as well as senior-level functional roles in finance, legal and research and development. Sabine began her career in academia and was intensely involved in scientific work and lecturing at the Vienna University of Economics and Business Administration. She taught courses in health economics, taxation and the management of public companies. Sabine holds doctoral degrees in law and economics. She speaks German, English and Russian.